Welcome to our website. My name is Brian Mongeau. I started this family owned and operated Wildlife Removal / Wildlife Control business, in May 1998, while working full time at a regular job. My full time hours allowed me enough time to work with the wildlife after my shift ended. For the first year, it was a part time endeavor, but it was enough to get my feet wet and learn all I could about wildlife native to Connecticut, and also to Rhode Island. Since I’m also an avid outdoorsman, the learning curve was not too difficult. Within a year, I began to have such a client base, with new calls coming in daily, that I decided to go at it full time. So, we’ve been full time since 1999. Around year six (2004) my territory and call volume had grown to the point that I needed help. Luckily, Kyle, one of my older brothers was available on a part time basis. To this day, my brother and I are still the only employees. 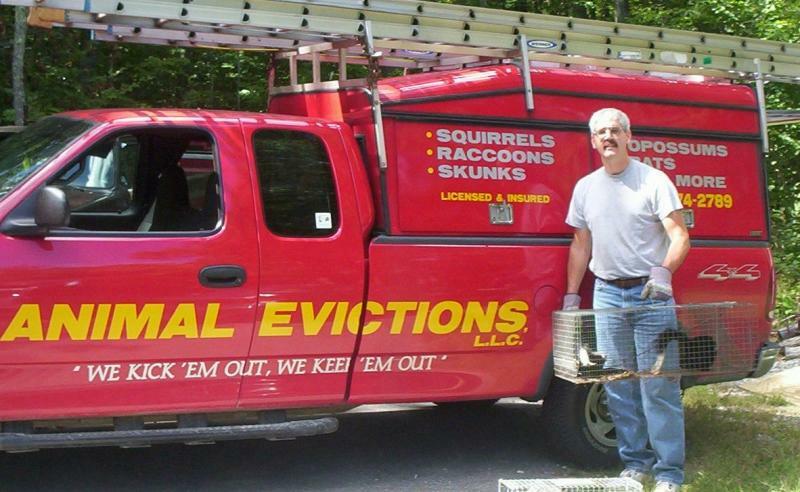 Animal Evictions, LLC ®, the Leader in Eastern CT Wildlife Animal Trapping, Wildlife Removal and Wildlife Control is located in the Northeast Connecticut town of Killingly, we cover all of Windham County, CT, New London County, CT and Providence County, RI, and would love to get rid of your nuisance squirrels, skunks, bats, woodchucks, opossums, raccoons, birds, snakes, beaver, turtles, deer or dead animals. ﻿ We also do dead animal removal from your property, inside or out. I’m sorry, but we are not licensed to handle or remove domestic animals such as cats, dogs, livestock, etc. Call your local Dog Warden or Animal Control Officer - refer to the blue pages under your town for telephone numbers. Thank you.